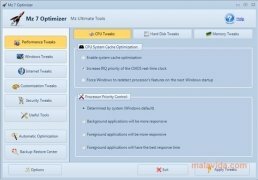 Mz 7 Optimizer will allow you to improve the speed, stability and performance of Windows 7 by means of several tools that are easy to use. If you notice that your operating system doesn't work as well as it should and you think that it could work quicker, Mz 7 Optimizer will be able to help you to manage it. Windows 7 has a large amount of configurations that you will be able to modify to adapt them to your needs. But it has to be said that it may workout somewhat complex for a normal user to access them and to know which it the most convenient configuration in each case. 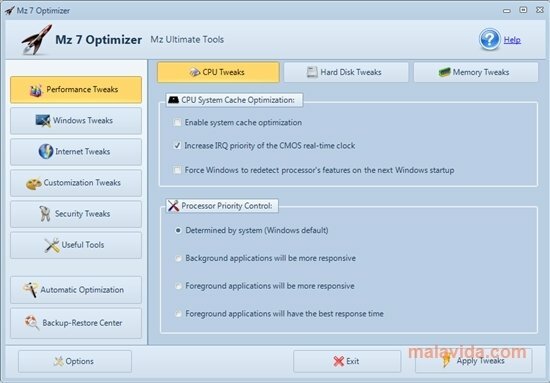 Mz 7 Optimizer will make this task extremely simple and will allow you to adapt your operating system to the way in which you use your computer. Mz 7 Optimizer is divided into different sections, depending on the areas that are optimized. 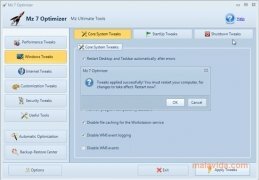 On the one hand, you'll find the Internet optimization, and on the other, the general Windows options, as well others for system customization and security. 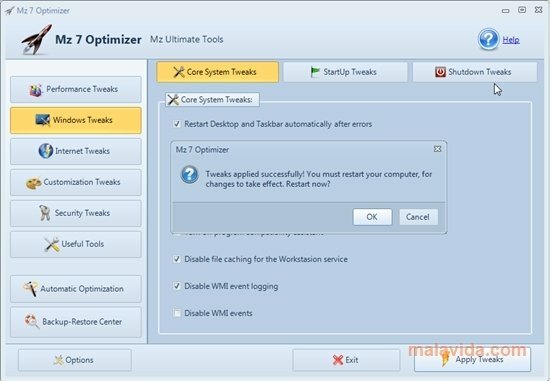 By means of these tools you will be able to disable the Windows Aero effect to manage greater speed, restrict access to anonymous users, hide the network or deactivate the control panel. 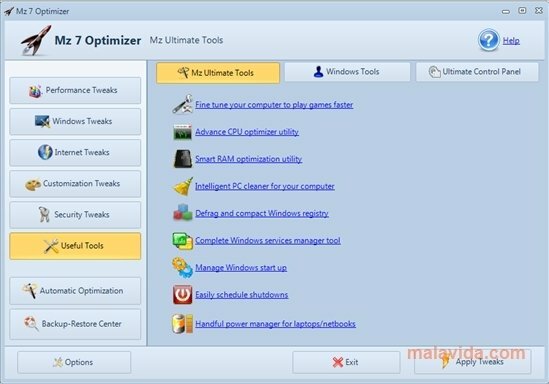 All these tools provided by Mz 7 Optimizer will help you to improve how Windows 7 works.